We live and breathe technology and frequently attend a whole host of events. Using portable mice with our tablets and laptops makes it easy to recommend the best pointers for you. Sporting dual 2.4GHz and Bluetooth LE connectivity, the Atheris takes portability to a whole new level. With up to 350 hours of use on a pair of AA batteries, the Atheris is great for those who need a companion pointer while on the go. Using a laptop while on the go is pretty straightforward with the trusty touchpad, but if you want to get some serious work done (especially on a Windows tablet), you'll need to throw in a wireless mouse. If you find yourself struggling to be productive while away from the desktop, you need this mouse. Is it a good time to buy this mouse? Now's a great time to purchase the Razer Atheris with the company still marketing the device as the go-to portable pointer for gamers. Should you be a fan of Razer's already well-established PC accessory collection, you'll dig the Atheris. It's compact enough to squeeze into the tightest spots in a laptop bag but offers the excellent performance of a full-featured desktop mouse. Utilizing Bluetooth LE and 2.4GHz wireless technologies, the peripheral can quickly connect to a Windows PC with an available wireless card or with the included dongle. There is one downside: the omission of the Razer 5G sensor, which means you'll have a less advanced sensor but it still has solid accuracy with support for up to 7,200 DPI. It's also capable of reading up to 220 inches per second and can handle 30G acceleration. Razer Atheris is affordably priced for what you get. Because this is a portable mouse, we've got to talk about battery life. Sporting just two AA batteries, the Atheris can last up to 350 hours of action. 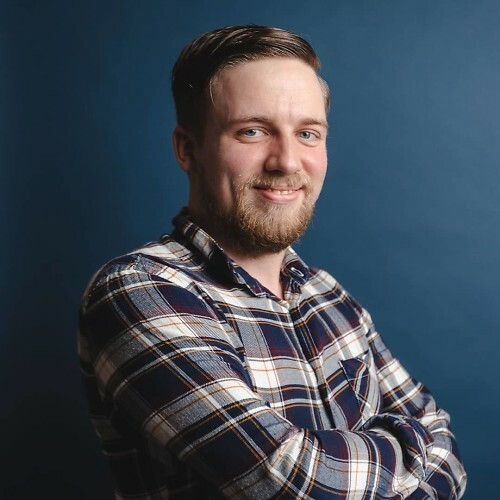 Other features include adaptive frequency tech, tactile scroll wheel, ambidextrous, five programmable buttons, a polling rate of 1,000Hz, and support for Razer Synapse. The best part is the price, and at around $40 it's not going to break the bank. 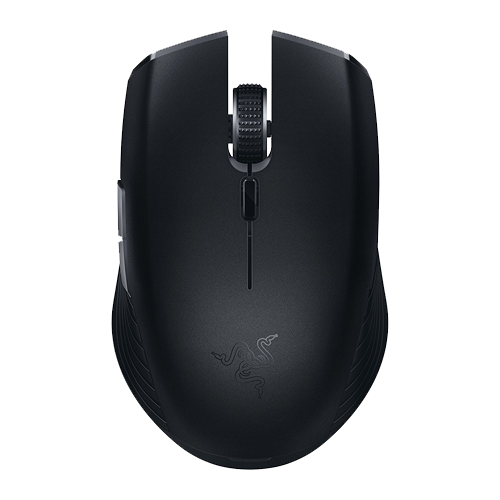 Be sure to check out our full review of the Razer Atheris for all the features of the mouse. Not everyone likes Razer hardware and the Atheris may not be to everyone's liking or meet requirements. We've rounded up some great alternatives, each with their own selling points and unique features. The successor to the fantastic MX Master wireless mouse, which was our previous best overall choice, gains a new sensor and vastly improved battery life — along with other useful features that make pointing anywhere on a screen a breeze. The MX Master 2S is a beast of a mouse from Logitech, but it's not the most portable option out there due to its size. While the Atheris gets the job done and can easily be carried around in your jeans pocket, this monster will need to be packed in your luggage. The flip side is great battery life and a highly accurate sensor. The BM308 features dedicated buttons for standard functions like right- and left-click and scrolling, plus a side button for page up and down controlled by your thumb. It automatically powers off if your laptop shuts down or is inactive and runs on just one AA battery. TeckNet makes some affordable devices for Windows PCs and the BM308 is a budget-friendly option for anyone looking to save some money while having the ability to ditch the touchscreen or touchpad. You won't find luxuries or premium design here, but it has everything you need. Microsoft's Surface Arc Mouse combines the familiarity of traditional mouse functionality with the addition of a touchpad. The mouse takes two AAA batteries, which can be swapped out for a rechargeable solution. And it folds flat, so it's super portable. Not only does the Surface Arc Mouse look good, but it's also functional enough to make it a worthy contender. What Microsoft has achieved is by fusing together the functionality of a traditional mouse you're already used to, but with the addition of touchpad features like gestures. Handy if you love using the touchpad and need a separate device to use. There are a lot of great Bluetooth mice out there and while we recommend all of the units listed in this guide, it's entirely up to you to decide which mouse is the perfect companion. 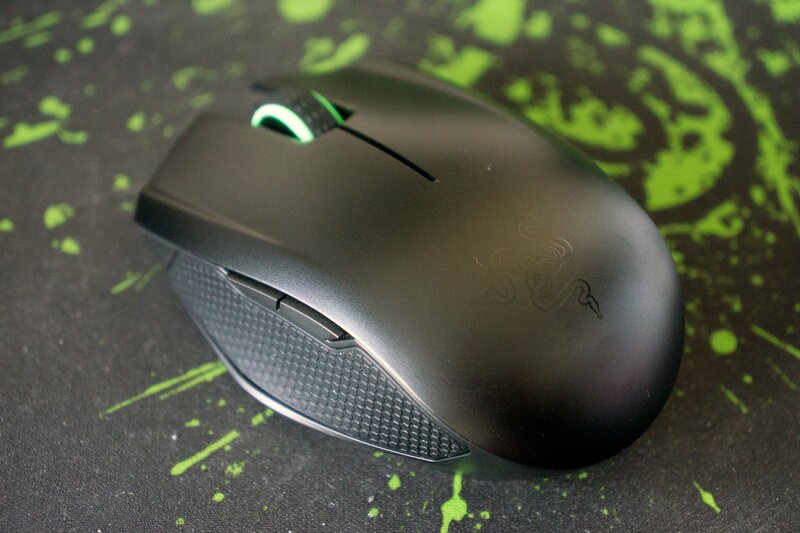 We see the Razer Atheris as one of the best you can buy, even if it is marketed for gamers.